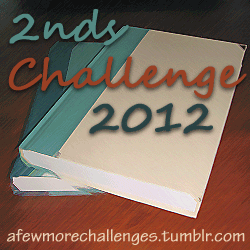 I’m also joining the 2nds challenge in 2012. I read 17 books for this challenge last year, so I’m going to choose the A Full Plate level with 12 books. 1. Anyone can join. You don’t need a blog to participate. If you’re not a blogger, you can post your reviews at a review site like Goodreads, LibraryThing, or Shelfari and link them up here. * Just a spoonful – Read 3 books that are 2nd in a series or the second time you’ve read the author. * A few more bites – Read 6 books that are 2nd in a series or the second time you’ve read the author. * A full plate – Read 12 books that are 2nd in a series or the second time you’ve read the author. * All you can eat – Read 20 books (or more) that are 2nd in a series or the second time you’ve read the author. You can list your books in advance or just put them in a wrap up post. If you list them, feel free to change them as the mood takes you. Any genre counts. Any book format counts. 3. 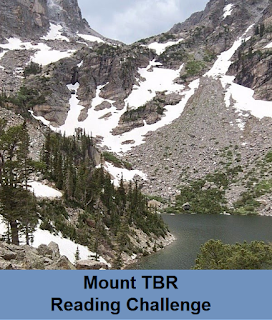 The challenge runs from January 1 through December 31, 2012. 4. You can join anytime between now and December 31, 2012. 5. A post will be created here where you can link-up your reviews and visit the reviews of other participants. 6. If you’re a blogger, write up a sign-up post that includes the URL to this post so that others can join in. Feel free to use the button! You can grab the code you need from the box in the right sidebar. 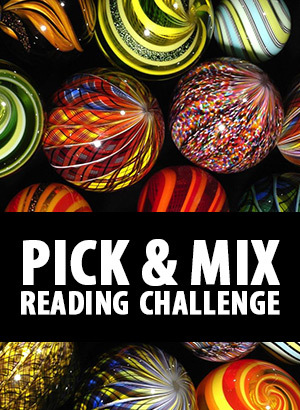 I’m going to join a couple of more reading challenges for 2012. I had a lot of fun last year with this one, so I’m going take part in the 1st in a series challenge. * Series Novice: Read 3 books that are the first in any series. * Series Lover: Read 6 books that are the first in any series. * Series Expert: Read 12 books that are the first in any series. * Series Fanatic: Read 20 books that are the first in any series. I’m aiming for the Expert level with 12 books. I have a lot of these in my TBR and I plan to start a few series in audio, too. I tend to read fantasy, science fiction, and mystery. I planned to post the list on Tuesday but the power went out during the afternoon and didn’t come back until the next day. This book has multiple POV characters and two main time lines. One of the time lines is centered into 12th century, during the Third Crusade, and the second one is set in the 21st century in a futuristic US. Additionally, the main POV character in the future story line has dreams/hallucinations about being various people in other times. The chapters with a heading of “Sura” and a quotations from Omar Khayyam, focus on the 12th century. 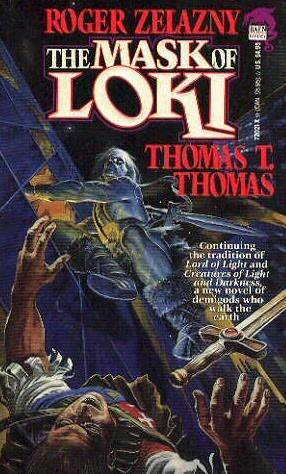 Thomas Amnet is a Knight of the Temple and the Keeper of the Stone for the Templars. The Stone gives its keeper magical powers and near immortality. Amnet is an advisor to the Grand Master of the Order and so he’s also in the middle of intrigue between the various Christian factions. Amnet is known to be a wizard and the Stone can give him flashes into the future. However, recently when Amnet looks into the Stone, a man’s face prevents Amnet from using it properly. Amnet fears that this is a rival wizard and that they will have to fight. Raynald the Chatillon, Prince of Antioch, insults a group of important Muslims and as a consequence, their military leader Saladin declares jihad against Raynald. The new King of Jerusalem decides to defend Raynald. Meanwhile, the order of the Assassins are killing knights but decide not to side with Saladin. One of the assassins, Hasan, looks young but is in fact a over a hundred years old and a wizard but not connected to the Stone. In the 21st century, Tom Gurden is a jazz musician and in trouble. He feels like several men have been following him and they have saved his life a few times. However, now they have tried to kill him. Gurden calls to an on-line psychiatric unit, Eliza 212, and tells his story to her. He has also had a couple of dreams where he was a man in various places in time. In the first dream, Gurden is a poor scholar in Robespierre’s France. Later, Gurden’s old lover returns and a man tries to kill Gurden. The plot is a rather complicated mystery. There are several POV characters in the chapters set in the 12th century but in the 21st century Gurden is pretty much the only POV character; there’s only one short scene from another POV. The story lines don’t merge until the very end, but a reader is likely to guess what’s going on. Amnet is a loyal Knight who sometimes warns his Master about future decisions but will follow him in the end. He guards the Stone jealously from even his half-blooded apprentice. The book starts with a scene where Sandy orders a specific glass made. Glasses similar to that one feature in Guren’s dreams; the dream always starts when he hurts his hand on a glass. The people he is in the dreams are quite different from each other and don’t seem to have much in common. Yet, he doesn’t gain any knowledge or powers from the glass. The 12th century chapters have most characters in them. Most of them are Christian knights who aren’t romanticized but shown as scheming men who are cruel and greedy at times. We also get a few brief glimpses from Saladin’s POV. As far as I can tell, the story line is historically accurate (except for the magic and Amnet, of course) but condensed for brevity. I enjoyed the historical chapters more than the future ones. The future characters felt a bit bland while Gurden felt a bit too conveniently competent. I would have wanted to know just who Sandy was. It’s a nice quick read but not as good as Amber. 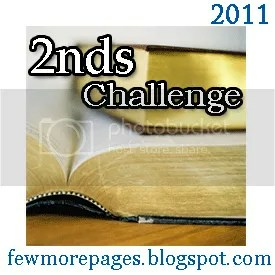 I read 17 books for the 2nds Challenge 2011 hosted by A Few More Pages and achieved my goal of 12 books. I enjoyed all of the books I read for this challenge and intend to continue with most of them. This year, I read three 2nds books from my favorite authors, so I can’t choose between them: A Local Habitation, Flying too High, and City of Ruins were all excellent. Bear and Cherryh are also among my favorite authors but for some reason, I didn’t enjoy these books as much as their previous ones. However, I will continue with these series, too. R.I.P. VII (4+1+1) 9+1 Done! Terry Pratchett: (1) 5 Done! Just for Fun (12) 12 Done! New Author (25) 30 Done Yay! The Graphic Novel Challenge (12) 21 Done! Sci-Fi Challenge (12) 12 Done! Speculative Fiction challenge (48) 48 Done! Off the Shelf (50) 50 Done! 1st in a series (12) 22 Done! The 2012 Science Fiction Experience 10 Done! Once upon a time VI: 10 Done!